Tipton Middle School teacher, Mr. Rob Shaver, recently submitted an article for publication. 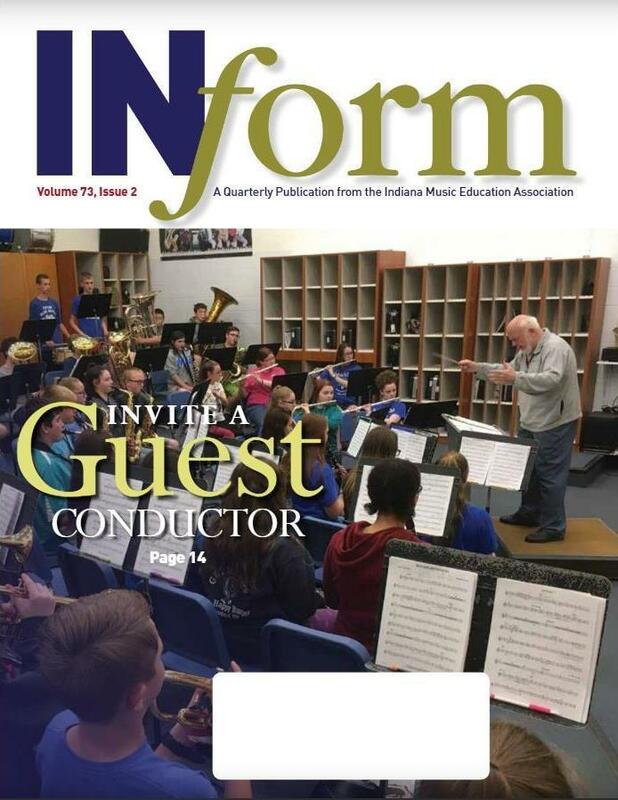 INform Magazine is a professional journal for members belonging to the Indiana Music Educators Association (IMEA). Mr. Shaver's feature article, "Invite a Guest Conductor," (pages 14-17) shares with his peers, how he invites other music directors to work with students in giving a performance. This has proven to enhance the performing experiences for his students as well as further develop his own professional skills. Through the people mentioned and the pictures included, the article highlights this activity at Tipton Middle School. Take couple of minutes to read Mr. Shaver's article.